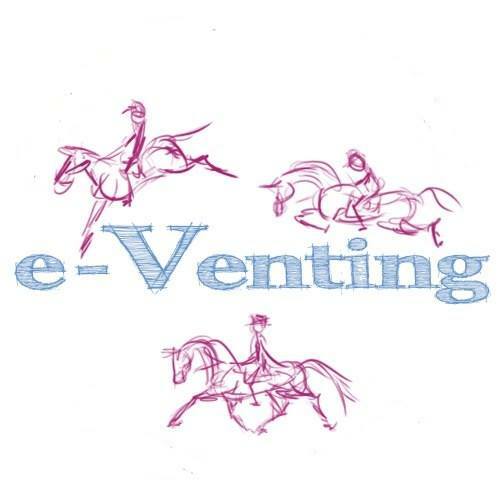 LD Equestrian may be a new brand but they are making an impact with affordable high quality functional equestrian wear as already discussed by Tilly who reviewed their technical polo shirt. 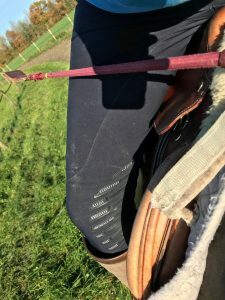 I was given a pair of their brand new breeches to put through their paces recently and have been impressed with the results. Firstly they come in normal sizes. You order a 12 you get a 12. None of this 28” is that a 10 or a 12 confusion which you can get with other brands! The breeches are made from a technical Lycra based fabric with a good stretch which means they fit somewhat like a second skin. The fabric is very lightweight but yet I haven’t yet felt cold, even with some chillier autumn mornings. I have even got drenched riding out in them and because of the technical fabric did not get that normal damp squishy feeling. Yes still soaked but almost akin to a wetsuit feeling. My favourite part of the breeches is without doubt the ankle which is a lovely stretchy tube rather than traditional Velcro. I’m the owner of large calves somewhat out of proportion of my other leg measurements so this is always a real selling point of finding nice breeches. Velcro almost always either causes a pressure point and/or scratches either me or my socks/boots, there is good reason I won’t buy a pair with velcro without trying them in the flesh as so few pairs avoid these issues. But with stretchy panels neither are issues. Hurrah! Showing the grippy panels and also how the seam moves round the knee and leg removing any pressure points. Next favourite point is the cut in general. They have a decently high waist (so containing my ‘mum tum’!) and a deep zip so no struggling to get them over my hips (and arse! ), and no slipping down offering indecent exposure when bending over to pick out a hoof or similar! There are belt loops for anyone wanting that extra bit of safety as well, with sensible sized loops so I am able to wear my favourite polo belt with them. To cut to the chase they are comfortable to wear even when not the size or shape of a model, what else needs to be said? The front pockets are a generous size and fit in my iphone 7. I do have to be sure to adjust the angle once riding to ensure it sits right but the pocket offers plenty of room to do so. The pair I received from the very first batch did have a slight cutting fault whereby the left knee seam was in slightly the wrong position so slightly creeps on to the knee cap when riding. This is only a minor annoyance and doesn’t stop me wearing them. Most importantly though, company owner Lydia confirmed if anyone received a pair with the same fault (it affected a very small number in the first batch but isn’t noticeable until tried on) they will be happily exchanged for a new pair. Can’t ask for more than that customer service wise. The knee design is actually quite clever ensuring there is no seam on the inside of the leg whilst not creating pressure points around the knee. Add to this the grippy silicone strips on the inside of the knee to give yourself that extra security and grip when riding. For the fashion conscious there is a very subtle amount of bling on the back pockets, but in turn this isn’t enough to put me off as a non bling person (I just don’t ‘do’ bling). The pair I received were navy and are a dark navy at that but to me that’s a good thing as such a practical colour. Overall the breeches have really impressed me first and foremost for their comfort and secondly performance. 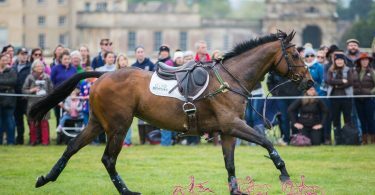 I’m excited to see what new products LD equestrian will launch as they are keen to introduce further technical designs and materials. The breeches retail at £70 and are available direct from LD Equestrian.